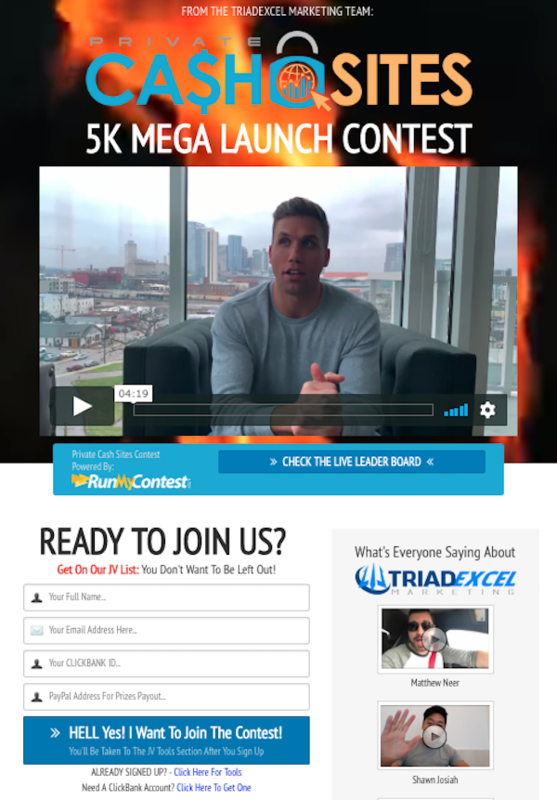 Welcome to the JVNP 2.0 Update, featuring a primary JV invite courtesy of fellow JVNP 2.0 Partners Steven James, John Saeger + Justin Francisco (Private Cash Sites – 5K Giveaway launch ClickBank affiliate program JV invite), Buzz Builders, and More … in Today’s PCS/RMC/CB 5K Giveaway edition. We’re starting things off with a $5k Cash giveaway contest, launching from Feb 15th to Feb 25th … a total of 10 cash-filled days. We look forward to having you on board … and supporting your launches, as well! Josh Mandel, John Di Lemme, Travis Stephenson, Terry Dean + Frank Garon, Todd Brown, and other fellow JVNotifyPro 2.0 partners are waiting in the wings … keep your eyes on your Inbox, and follow the action in the JVNP 2.0 Premium VIP JV Announcement archives.